Lot 65 1888 Canada Bank note Company Limited Full Business Card, in black and pale blue on unwatermarked paper, measuring 190 x 90mm. It depicts a mourning Queen Victoria and a woman posing as an artist’s model, as well as other lavish ornaments, as a sample of their printing capabilities. Very fine and fresh except for a small stain at bottom right below the woman. A similar, but 4 years later piece was sold as Lot 2 in the Daniel Cantor Small Queen sale. Estimate $400. 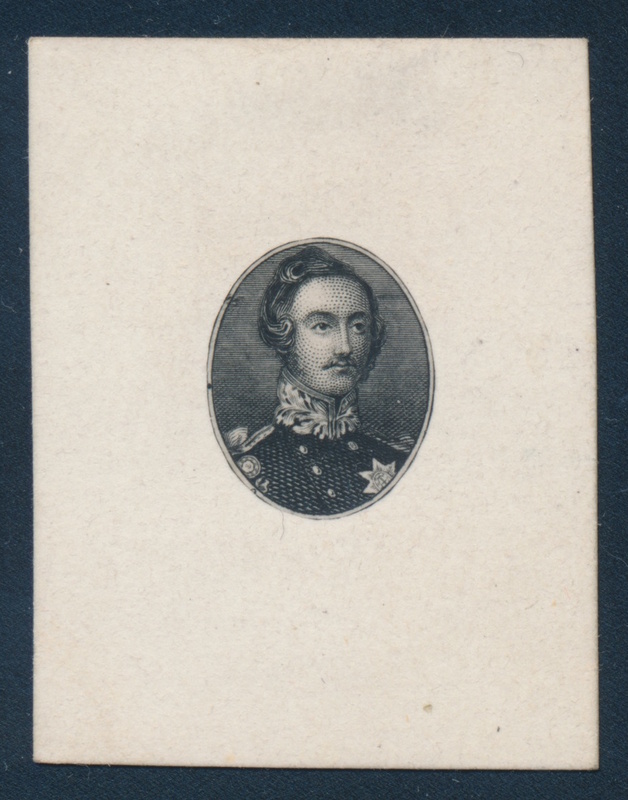 Lot 108 Canada #17 Prince Albert Vignette, identical to the Consort issue of 1859, on thin paper mounted on card 33×44 mm. A lovely addition to a Cents Issue collection. Estimate $100, Sold for $242 including buyer’s premium. 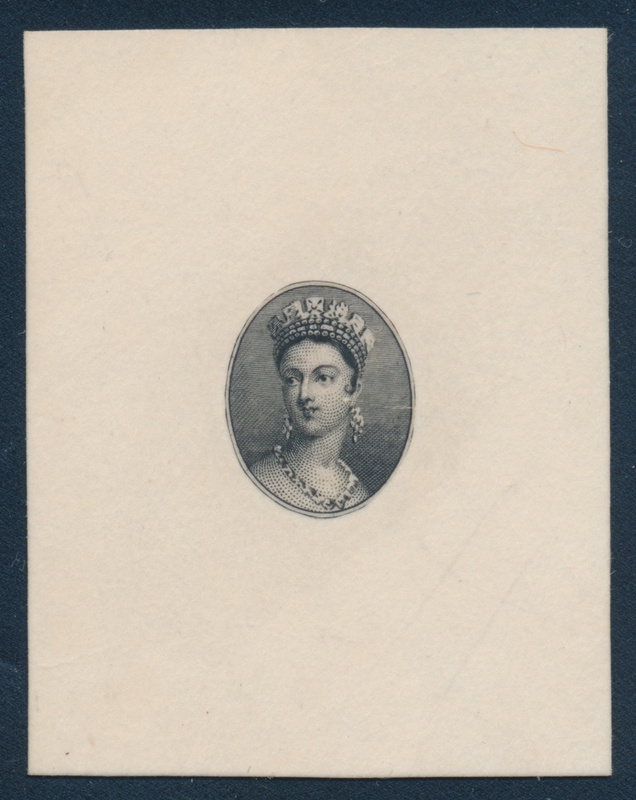 Lot 115 Canada #18 Queen Victoria Vignette, identical to the Cents issue of 1859, on thin paper mounted on card 41×53 mm. A lovely addition to a Cents Issue collection. Estimate $100, Sold for $276 including buyer’s premium. 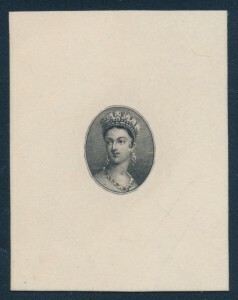 The high value Queen Victoria Jubilees, VF NH. Lot 195 Canada #62 1897 $2 dark purple Jubilee, mint never hinged, very fine. Unitrade CV$6,000. Lot 199 Canada #63 1897 $3 yellow bistre Jubilee, mint never hinged, very fine. Accompanied by a 2002 Sergio Sismondo certificate. Unitrade CV$6,000. 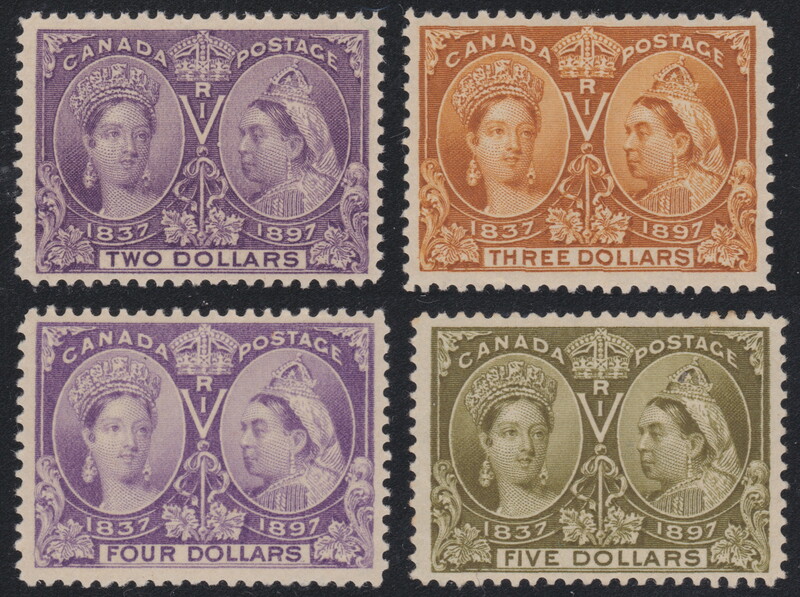 Lot 202 Canada #64 1897 $4 purple Jubilee, mint never hinged, very fine. Accompanied by a 2002 Greene Foundation certificate. Unitrade CV$6,000. Lot 204 Canada #65 1897 $5 olive green Jubilee, mint never hinged, very fine. Accompanied by a 1988 S. Pinchot and Son certificate. Unitrade CV$6,000.